Carhartt has always kept some production in the United States, but at the beginning of 2012 they decided to completely move the production of some popular items back to the United States. As the hunting season approaches, many people begin shopping for blaze orange clothing. For years, people have been suggesting that Carhartt should make blaze orange colors available. Now they have! Midwest Workwear is proud to announce that the Carhartt J140 Jacket is now available in blaze orange. The J140 jacket is made in the USA and designed to give you the flexibility and warmth required while hunting. The jacket features a flannel lining and nylon lining is used for the hood. In addition to the front pockets, this jacket also has two interior pockets. You can buy this Carhartt jacket for $79.99 (20% off the normal price). Other colors are also available. Carhatt has also decided to product a blaze orange version of their V01 vest. The vest has nylon lining which is filled with polyester for insulation. For more updates on new and upcoming products, like Midwest Workwear on Facebook or follow us on Twitter. Carhartt has recently decided to replace their FRS159 Flame Resistant Shirt with the FRS003 Work-Dry Shirt. Although the shirts are similar in appearance, there are a few differences between these products. One such example is that the FRS003 is offered in two new colors: Royal Blue and Gray. In addition to the addedl colors, the FRS003 also features Carhartt's Work-Dry technology. The FRS003 is Carhartt's newer design for a flame resistant shirt. 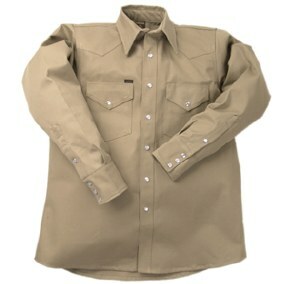 This shirt features Carhartt's Work-Dry material which wicks away moisture and controls odor. This design is also cheaper than its predecessor, costing $59.00. 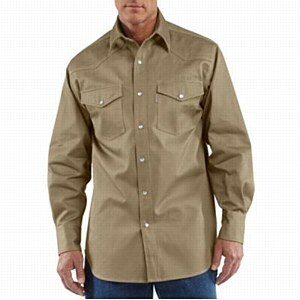 Carhartt's FRS159 is an older flame resistant shirt which the FRS003 is intended to replace. Because the shirt is being replaced, some of the color/size options are limited. However, you can still purchase this product on our website for $66.00. One of the reviews for this product does mention that the sizing does run on the large side. Remember to take that into account when ordering. If you are looking for other FR Clothing, you can check the FR listings on our website. Or, you can browse through our other Carhartt clothing. With a growing demand for welding clothing and equipment, Midwest Workwear has decided to place a few items on sale. Welding shirts are composed of 100% cotton that has a natural tendency to be flame resistant and are held together with metal snaps. All shirts contain two shirt pockets that are made for storing small tools. Although welding shirts are not as safe as flame resistant products, their purpose is to defend the wearer from heat and melting fabric burns, without having to spend too much money. With four shirts featured ranging over different name brands, you will be sure to find the material and style you prefer in a welding shirt. Our newly redesigned welding clothing page will help you out, but if you have any questions feel free to call our intelligent staff at 888-923-9675. 100083- Carhartt welding shirt. Made up of 9.5oz cotton denim and fitted with pearl colored snaps, this shirt will keep you safe and comfortable. Featuring a spread collar and two check pockets, this shirt lays perfectly and provides useful storage. S209- Carhartt Ironwood work shirt. This snap front twill shirt is made from a lighter 8.5oz cotton that is incredibly durable for its weight. Featuring two chest pockets and a left pocket containing a pencil slot, it is crafted for a handyman. Lapco Heavy Weight Shirt- Constructed of 10oz cotton, this heavy weight shirt is tough enough to take on any person's job. Stainless steel pearl snaps keep the shirt together, while you work confidently through your day. 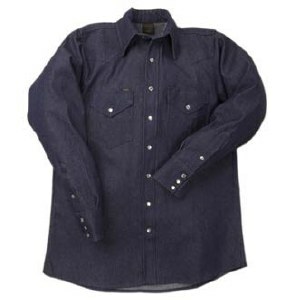 Lapco Heavy Weight Denim Shirt- This heavy weight cotton shirt is made up of 10oz cotton. Made of denim cotton, this shirt will not give up in the roughest of conditions. This Lapco shirt also features double stitching on pockets, flaps, and shoulder seams for extra durability. During the hottest months of the year, we are seeing more people invest their money into clothing that can manage drastic temperatures. Carhartt has been designing shirts to match this demand and has successfully manufactured a sweat wicking shirt. The 100410 uses nano technology to repel the sweat from the body and then keeps it from sticking to the shirt. Without having to worry about a wet shirt, you can comfortably wear it all day long. Composed of 5.75 ounce 65% cotton/35% polyester material, the 100410 is extremely light weight, making it the perfect summer, work shirt. The elimination of sweat will also reduce chafing that can occur on a daily work grind. If you are in need of body temperature management clothing, check out the 100410. 100410- Carhartt sweat wicking shirt. Featuring Raglan sleeves and a relaxed fit, this shirt is made for the heat. The shirt pocket is useful for carrying small tools and other small supplies that are needed. The 100410 also has Stain Breaker technology that prevents sweat stains after washing. With more and more news displaying the unbelievable hot weather around the nation, Midwest Workwear has decided to step up and address the situation. 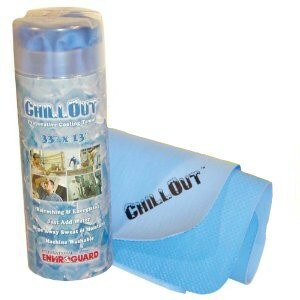 The following two products were introduced to the site in effort to cool down the nation's workers. The CO3313B and CO25HHI are designed to keep you protected in the most ridiculous of temperatures. By activating is nano technology, cooling agent with just water, the two cooling rags will change the temperature in seconds. 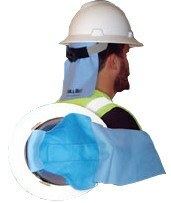 CO25HHI- cooling hard hat liner. This liner is an essential for construction workers as the temperature cranks up. An easy, universal liner fits almost any head protection and feels cooler than you can imagine. Midwest Workwear has recently expanded its selection of Red Kap items. Red Kap clothing dates back to 1923 when the first washable work wear was being produced. Since 1986, Red Kap has been owned by VF corporation and has proved its reliability in the field by reaching a vast market of consumers. With our newly redesigned navigation page and our absolute lowest market price, any customer will be able to acquire what they need without breaking their bank. Red Kap also understands the importance of personalization of products by offering a vast choice of colors, lengths, and sizes of their products. Check out our newly redesigned navigation page for Red Kap. SP24- One of our most popular Red Kap items, its jaw-dropping price and amazing comfortability is available in 15+ colors. Constructed of 4.25 oz. TouchTex II fabric, this shirt will wick the moisture away and keep you as cool as possible. The SP24 is available for $9.95 and is great for any job with hot conditions! Midwest Workwear has just expanded its selection of hard hats for the working person. With more than 3 brands to choose from, anyone will be able to find what they are looking for. Our newly redesigned navigation page allows you to shop by brand or style of hard hat. Structured for easy access, all hard hats are uniquely sorted. All of our hard hats pages list the safety standards involved and our employee crew would be happy to explain the guidelines over a personal toll free phone call. With our customer support and grand selection, we can promise that you will find the best possible hard hat. 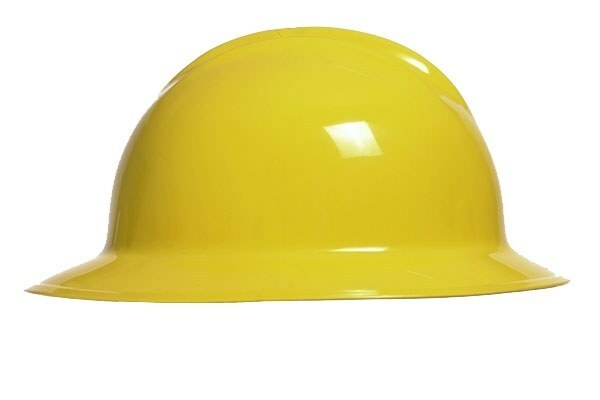 Visit our hard hat navigation page or continue on to look at our most popular hard hat. Bullard C33 Full Brim Hard Hats feature Bullard's 3-ribbed, sleek, lightweight and trim design. With its low center of gravity, engineered for incredible balance, the full brim design is extra protective. The C33 has an adjustable ratchet suspension that includes a seamless, nylon, point structure. To top it all off this helmet is made in the USA.